I am growing up. I am making “grown up” food. Well, I wouldn’t consider this a real main dish, although that’s how I like to eat it because I tend to eat smaller meals (but eat them often) rather than have large meals. This would make a lovely side dish or a nice main dish if you’re like me. 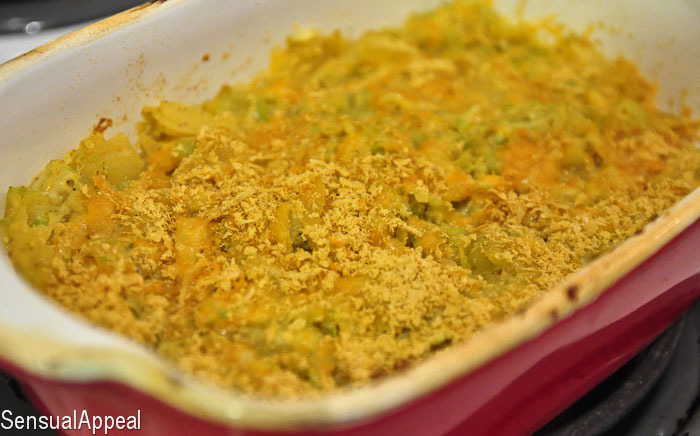 It’s slightly cheesy and the nutritional yeast provides a phenomenal nutty flavor. It accents really well with the cumin and turmeric. Plus, these spices are really good for you – they are considered one of the best spices for a person’s health. I liked to eat this with some salsa. But then again, I have a slight salsa-obsession. Adapted from Our Life in Food. What’s your favorite way to eat zucchini? 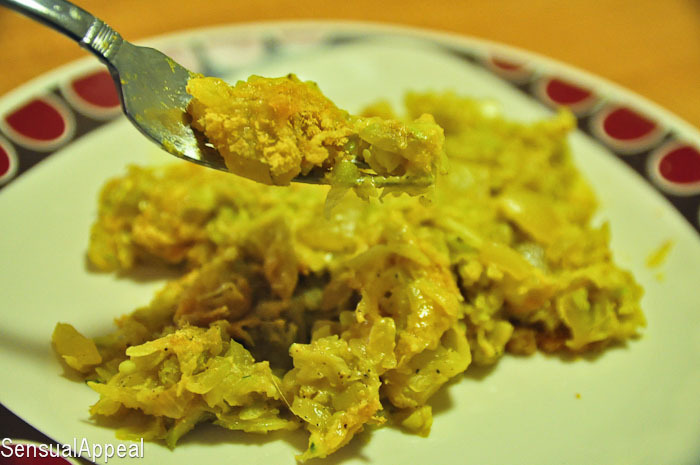 Have you ever had nutritional yeast, what do you use it in usually? I think you’re so proficient in the kitchen already! This is a very impressive gratin indeed!! Nice stats! I love that you added the cottage cheese in there! I swear those little curds cease to amaze me at what they can do for pumping up my meals! I’ll have to give this a try soon! That looks so good and I love the ingredients! I totally expected there to be breadcrumbs in that recipe so I lot that there isn’t! I will definitely have to try this out! wow, now this is a keeper for me. great idea. Found you via Beyond the Peel’s Keep it Real Thursday. I linked in bacon and scrambled egg rolls. Have a super week. 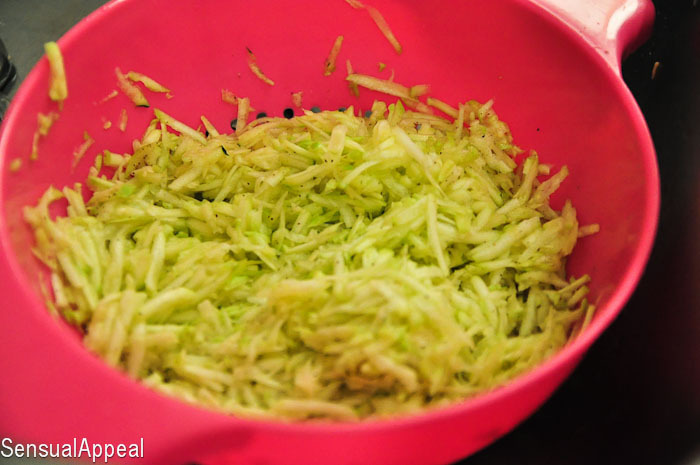 I LOVE that this recipe is for one–my boyfriend does not touch zucchini unless it is finely grated and put into cookies. 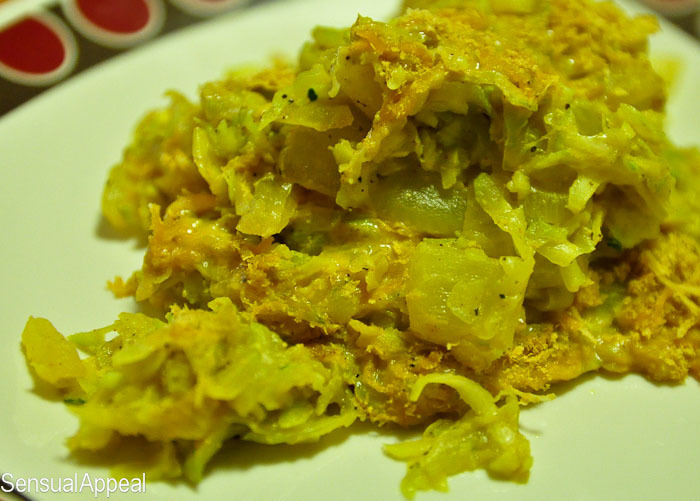 And it’s such an interesting twist on zucchini gratin. Thanks for sharing it with Fresh Foods Wednesdays! So happy you like it! I live alone (well, with a roommate, but we don’t share food) so I’m all about doing onsie servings 🙂 Let me know if you try it out! Mmmm…this sounds wonderfully delicious and healthy too! So glad I saw your link-up at Beyond the Peel! Thirdly, there is no losing your lunch cash. I love fresh zucc on the grill, and nutritional yeast on popcorn with a sprinkle of chili powder! yum! cannot wait to try this recipe.